A very long, and very informative interview with Takumi was posted on the Dai Gyakuten Saiban website. A part of it was already posted in the Capcom Legends column (and my translation of it is in this topic), but this is the complete interview and is easily double, maybe three times as long and informative. It deals with Takumi's career at Capcom before Ace Attorney, about making the first couple of AA games and of course DGS (also on creating the DGS characters) and even fandom outside Japan! Q: First, I want to ask you about your career after you joined Capcom. What games were you involved with until Ace Attorney? Finally, I was picked for a team, and the first game I got to work at was Gakkou no Kowai Uwasa Hanako-san ga kita!! / Scary Rumors at School – Hanako-san is here!! (1995). And would you believe it, together with the fighting game Street Fighter Real Battle on Film / Street Fighter the Movie: The Game, Hanako-san was one of the very first PlayStation games Capcom made…… But I’ve heard nobody talking about any remakes or ports of the game, so it’s really an “elusive” product (laugh). A: So I joined the Hanako-san development as a planner. The genre was supposed to be something like horror or ghost stories, but they made me, the new kid who knew absolutely nothing of the game concept, the planner, so the game turned into a rather “strange game” that sometimes showed signs of trying to make the player laugh. The director was also busy with other projects, so I made the game rather freely in secret (laugh). A: And then there was a two, three year blank. This was a period where we kept coming with new plans, which also kept falling apart. The plans went everywhere, from a “music game” to “an educational game”, and I also came up with a project for a “detective game” which would be the protype for Ace Attorney. My boss at the time quit, and I was picked up by the producer of the Biohazard team, and thus came to join Production Studio 4 (as it was called at the time). Q: I heard you were also involved with development on Biohazard 2? A: I was involved with the prototype of Biohazard 2 (Resident Evil 2, which never was never released. It’s known inside Capcom as Biohazard 1.5. At the time, we were working on the plans of Dino Crisis, but because the development of Biohazard 2 was in trouble, our team was temporarily disbanded, and I joined the other team for three months. They just needed more people. I am not sure how much I helped though. After that, they stopped development on Biohazard 2 for a while anyway. They remade it right from the start and it became a big hit. Unfortunately, the part we worked on wasn’t preserved. Doesn’t really matter though (laugh). Q: And after that, you were put in charge of the Dino Crisis series. A: Right. They made me director of Dino Crisis (1), but now I look back, I don’t think I even knew what it meant to be a “director”. Because of that, I put the team in confusion, and was fired as the director…… (laugh). They made me a planner and I was responsible for the stages in the first half. I felt frustrated at that, of course. But looking back at it now, I think it was something necessary. They then decided to make Dino Crisis 2 and for some reason, they made me director again. I have no idea whether the producer was extremely kind, or just forgetful (laugh). Anyway, I reflected deeply on what myself during the development of 1, and changed my way of working and thinking. I was also helped by the fact it was a sequel and somehow completed the task. Even now I still quite like 2 as a game, and I won’t ever forget the second chance they gave me. Also, the script was handled by Flagship, a Capcom subsidiary, but I learned a lot about scenario creation, like 'simply' ordering a scenario, and that really came in handy when I made the scenario for Ace Attorney later. Q: I see. All these experiences came together when you create Ace Attorney. So after Dino Crisis 2, you finally came up with your plans for Ace Attorney. A: “We’ll give you half a year to go make whatever you want,” I was told. Like I explained, when I first started on Dino Crisis, I knew absolutely nothing about dinosaurs--I couldn’t even see the difference between a tyrannosaurus and a velociraptor—but I guess this was a little bonus for me having done my best on the Dino Crisis series for three years. At the time, there were several of these projects, meant as training grounds for the young staff, to create new games with small teams and budgets. One of them was Ace Attorney. We didn’t make it in six months and finally finished it in ten. But even so, I think that’s a great record. Q: Ace Attorney was first released on the Game Boy Advance, but how was it working on new hardware? A: Actually, it was initially scheduled for the Game Boy Color, but around that time we started hearing rumors of this new piece of hardware coming, the Game Boy Advance, and they showed it to us. It was still before the actual release, so we didn’t get the actual unit, but just the boards, but the screen looked amazing and the whole team was impressed by it. Development on Rockman/Megaman.EXE was already ongoing, and they showed us some footage and it made an impact on us. I thought that this was perfect for a title like Ace Attorney. Q: The first Ace Attorney was a small project of just 7 people. I heard it was a hectic job, with people dropping out during development and such. A: Yes. It was a team comprising of new people with little experience on the job, and even though there were just the seven of us, we made a lot of trouble (laugh). But we were just making this game somewhere hidden away in the corner of the company, so there was no pressure at all, and we could work rather relaxed. We were all young and we poured our all into it (without thinking about what our limits would be), but now I think about it, I’m amazed just two people managed to create all the graphical assets and two programmers did the whole thing. And I on my turn was the planner, scenario writer and the director in one. I could not have imagined that this game would be going on even now. Q: The Ace Attorney series is now one of the main series of Capcom, but I heard you had a lot of trouble while making the sequel. A: Obviously, there had been no talk at all about a sequel while we were working on the first game and I thought it would be just this single game. But the producer liked the finished product a lot, and after forcefully convincing everybody, made the call on making a sequel, saying “let’s make until part 3”. I remember that at the time, I felt like I had poured all of my ideas in the first game, so I was not even sure I'd be able to come up with three of them. But if the producer hadn’t decided on development on the sequels it would've been just the single game, and I wouldn’t be here now talking about it. Even to this day, I’m grateful to that. Q: That is a great story. After that, you made Ace Attorney 4, and after Ghost Trick, Professor Layton VS Ace Attorney and now Dai Gyakuten Saiban. Have you any thoughts about Ace Attorney having becoming this long-lived series, starting in in 2001 and now, 14 years later, still around? A: I feel both “gratitude” and “confusion”. Considering Ace Attorney was originally made for the GBA, we also needed to make it playable for children in elementary school. But now 14 years later, it’s played by many generations, from kids to adults. The hardware also changed to Nintendo DS, cell phones to smart phones and even more people got a chance to play it. It’s an easy game to port, so I have the feeling the game is spreading out in a slow, but steady pace. In terms of profit and fan reactions, I think it became really big with Ace Attorney 4, but with the changes in development, the project also became bigger than I could really graps, and it also made me confused. Also, it’s about that time we had all kinds of projects besides the games, like the orchestra concert and the Takurazuka plays and the film, and I was really amazed by it all. Thanks to everyone playing the game, I too got to experience all kinds of new things and I am grateful for that. Now we have the The Grand London Courtroom Murder Case, a real-life escape game we collaborated on with SCRAP and coming in touch with all these new experiences really stimulates me. 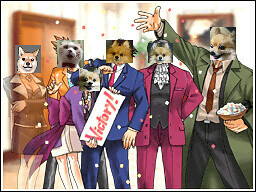 Right now, Ace Attorney has become this big a project that sometimes, there are even staff members I have never seen, but I have only words of gratitude for everyone giving their energy to the series. Thanks, always. Q: How did this new project, Dai Gyakuten Saiban, start? 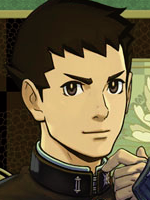 A: It started when they asked me early 2013 if I wanted to make a Ace Attorney seperate of the numbered series. I proposed a game with Sherlock Holmes and that how it got rolling. Q: So Sherlock Holmes was there from the start? I had considered other ideas. For example, I also looked at civil trials as a hook. But I realized the game would be about rather ugly topics, like "Mediation between family members fighting over an inheritance" or "Settling Things Out of Court In A Case of Being Falsely Accused of Molesting", cases with no clear-cut conclusions (laugh). A: Originally, I came up with the idea of Ace Attorney because I wanted something else than just choosing options. I thought about a way to have the player input their own deductions themselves directly, and the answer I came up with was the system where you point out contradictions between testimony and evidence. Q: (W)right! Ace Attorney is indeed a bit different from those games where you just have to make a choice between command options. A: And so I came up with a laywer as a detective, and the setting of the courtroom, instead of the crime scene. But another answer I came up with at the time was: Maybe I could make a mystery game where a great detective made the wrong deductions, and where you needed to correct and lead him to the truth. That idea was "Sherlock Holmes (temp title)"
Q: The new "Joint Reasoning" system! When did you think of that? A: Around 2000, somewhere around the first and the third Ace Attorney. Q: That long ago?! So Dai Gyakuten Saiban started with joining that idea with Ace Attorney? A: I had been wanting to do a Holmes game for a long time, so with the opportunity presented, I schemed to make it happen one way or another! So yes, Dai Gyakuten Saiban started with Sherlock Holmes. But there's a lot of reasons for Holmes appearing in the game. For the game mechanics of course, but to set this project apart from the numbered series, it was the easiest to set this game in a different time period, which also opened up new opportunities for the mystery plot. It was perfect for the game. So I thought about how Japan looked like when Holmes lived, which is how I came up with the in-game universe. Q: Takumi-san, what is your impression of 19th century London, where Holmes lived? A: After first reading Holmes in middle school, I only read mystery fiction set in that period. So it might be all in my head, but I am fairly familiar with the setting. The late Victorian age was when scientific investigation started when they first accepted fingerprints as evidence and there was the technological revolution with photocameras, gramaphones and automobiles and the move from gas and steam to electricity... anyway, it was a period of much change and therefore interesting. This big center of energy is what lies at the base of the story. Q: I see. By the way, what Holmes story do you like best? A: I'm often asked that, but I find it hard to answer. But I think the easiest answer is the first 12 stories that make up the first short story collection. People think of Holmes as the great detective, but even he makes mistakes at times and feels bad because of them, and there's the friendship with Watson. He's a very human character. You'll understand that as you read more of his stories, so I recommend reading a lot of them. Q: What was difficult about directing this project? A: It's been a while since I wrote an Ace Attorney scenario, so there was the pressure to write something that in terms of quality, wouldn't lose from Ace Attorney 1~3. Q: You wanted something that could compete with Ace Attorney? A: Yes. So with that pressure, I just started writing without thinking about pacing or anything. And for various reasons, the story structure changed several times and I had trouble keeping the scenario in check. You might think that a scenario should be written from start to finish after you've decided on everything, but in reality it doesn't go like that. As you write, you suddenly start to see things in a way you had never considered before, as if driven by a mysterious energy. Could it be Holmes' energy? Mystery fiction is about surprises, but I even was sometimes shocked by what I had come up with, sometimes more surprising than the surprises I myself had planned, so you can expect the unexpected from the story. I've been making games for 20 years now, so by now you'd think I'd be better at controlling this creation process though (laugh). Q: There's something profound in the creation process, right? A: A large part of it comes from the staff members who watched over me with warm eyes, but we did everything until it wasn't possible to do anything more. That's also true of the development schedule. Q: A question about creating the Dai Gyakuten Saiban characters. I think that characters made alive with polygons started for you with Ghost Trick, and Dai Gyakuten Saiban now but what was difficult about that and what is new? A: Ghost Trick was in the end 2D graphics, but with Professor Layton VS Ace Attorney and now Dai Gyakuten Saiban... I think the motifs have become bigger now. Ghost Trick was like a theater where I wanted to show the whole bodies of the characters, so I used spotlights and had them dance and stuff, very different from Ace Attorney. Now with Dai Gyakuten Saiban, I'm letting them do that too, and more. Q: Now you mention it, the use of the spotlight in Ghost Trick was very memorable. A: We used motion capture for Dai Gyakuten Saiban. In the original stories, Holmes could deduce the most incredible things from a man's tiniest movements or the movements of the eyes and to reenact those scenes in Dai Gyakuten Saiban we used mo-cap. This time we can control the movements of the eyes of the characters and to show that off at the start of the game, I came up with... restless-eyes-Ryuunosuke. Q: Ah, yes, his eyes did move around a lot in his character introduction PV. A: That's the thing we wanted to mention the most today! (laugh). We can now control the eyes of all the major characters, but that takes a lot of time and by the end, our eyes too hurt. But it looks very good on the screen, so it was worth it. We didn't just use mo-cap to get realistic movements, but we also came up with "Ace Attorney"-esque uses for it, so please look forward to it. Q: Now I want to ask about each of the charactes seperatedly. First is Naruhodou Ryuunosuke. What part of you made it into him as you made this new protagonist of the Ace Attorney series? A: When I created Naruhodo for Ace Attorney, I mean Naruhodou Ryuuichi, and Odoroki Housuke/Apollo Justice, I had this in mind: the character has to be an avatar for the player. That’s why I tried to keep them ‘natural’, without too strong a personality as I wrote the scenarios. Q: Are there other people in the staff who think that Naruhodo is just like you? A: Because I conceive him as being “nothing special in particular”, I write his lines just the way they come up to me. And as a result, the character might sound like me (laugh). When I made Ace Attorney 4’s Odoroki (Odoroki Housuke), I had to make sure he was different from Naruhodou, so my task was to give him a personality, for example by making him use the personal pronoun ore. Naturally, different characters need different personalities, but it’s also true it’s simply easier to write a protagonist similar to the writer himself. And when we’re were planning out Dai Gyakuten Saiban, the keyword “forefather” came up in my head. If I would write a Meiji-era Naruhodou, I wouldn’t have to really “think” about differentiate the characters, but this new time period alone would be help enough for me to write a character I myself feel familiar with, but still new and fresh. And we made them all members of the same Naruhodou clan, people familiar with Ryuuichi/Phoenix would have no trouble getting used to the new protagonists, while new fans would get a protagonist who is easy to get used to. Q: And how about Asougi? For an ally in the Ace Attorney games, he is quite straightforward, I think. A: It took quite some time before we made our minds on the background of Asougi, but art director Nuri’s design was good and we agreed upon the character design just like that. He would be the reason for Ryuunosuke to go to England, and is thus a very important character for the story, so it was hard to write him. Q: And how about Ace Attorney’s new heroine, Mikotoba Susato? A: The heroines of Ace Attorney are always right by the protagonist’s side, so it’s important that they have elements of being “an ally”, “an ideal partner” and “a fun character to be with”. That has been the same since Mayoi in the first game. Susato came from the same concept. And from the Meiji period, I added the keyword Yamato Nadeshiko. She’s a legal assistant, but as an independent working lady, she’s a very progressive character. You see how dignified she holds herself. This time I made her a simple partner on purpose, so no spirit channeling or magic tricks. Q: And how about rival prosecutor Barok van Zieks, the strongest foe in the Old Bailey? 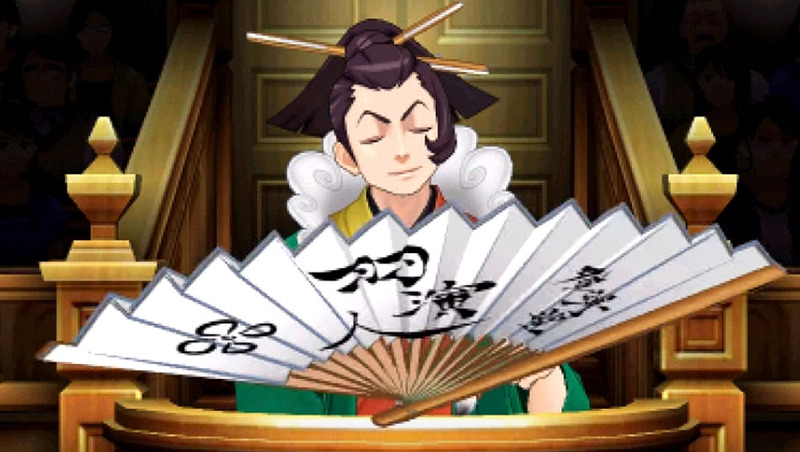 Are there elements you paid attention to when you created him, in regards to Mitsurugi/Edgeworth or Godot? 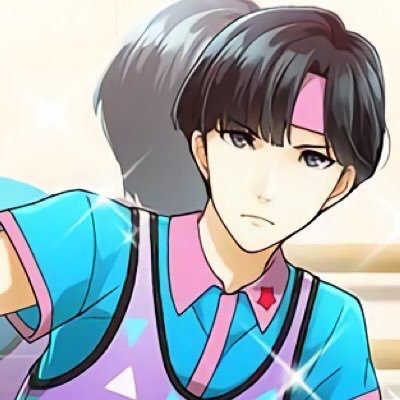 A: Ace Attorney’s Mitsurugi appeared in the very first game, so I was able to write him freely according to my own mental image of the “ideal rival”. “The biggest talent of the Prosecutor’s Office” was something I could do because it was the first game, but I couldn’t do that come up with a genius every time, so coming up with prosecutors has been difficult ever since the second game. I came up with all kinds of things. Karuma Mei/Franziska von Karma was “a hard worker who had to be perfect because she was Karuma Gou/Manfred von Karma’s daughter” and Godot was “a big one despite being new at the job”. The prosecutors are giving me trouble every time (laugh). With Van Zieks this time, I created the character keeping in mind it Dai Gyakuten Saiban was set in another time period and focused on that. The “people” were much more influential in the courtrooms of the 19th century, also considering they had jury trials. The prosecutor might present a perfect case, but the voice of the people and simple flukes can just overturn the verdict. The trials back then had an element you couldn’t fight with just by being good at the job. So I thought about what kind of prosecutor it would be, who could still make sure the defendant would not escape in such a world, with lay judges who know nothing about the law and where verdicts on good and evil were not done based on simply the law. The defendant would be helpless regardless the verdict… from this, I came up with the keyword “death god”, and thus Barok van Zieks was born. Q: I see. So you create the characters keeping the time period in mind. And now, something on Holmes? He’s become quite different from the original stories in a way, but had you planned it like that from the beginning? A: For this game, it was already planned that it would be about “correcting the wrong deductions of the great detective”. So I was terribly sorry, but Dai Gyakuten Saiban’s Holmes was destined to never say anything correct. Did you know that just a few months after Conan Doyle started publishing the stories of Sherlock Holmes, people were already making parodies? The history of Holmes pastiches is almost as a long as that of the proper history. There are some of those stories I really like, and our Holmes was born as another one of those loving parodies. Q: And what about Watson? I think this was also a big step away from the original? A: True. Ryuunosuke has his partner, so we thought that it would be more interesting for Holmes to have a Watson who wasn’t just another English gentleman, but someone complete different. In the world of pastiches, this is quite common, and there are many variations like a boy Watson, or a female Watson. In a way, it’s a rather predictable change. Q: Ace Attorney is also well received outside Japan and that’s one of the reasons it appeared in Ultimate Marvel VS Capcom 3, but what do you think about the enormous fan reaction abroad? A: To be honest, there are few occasions for me to directly see the fan reaction while I’m in Japan. Some years ago, I had the opportunity to go to Comic Con and do promotion abroad for Ghost Trick, and I was able to talk to students abroad and the press, and I was happy so any of them said it was fun directly to me. Oh yeah, interviewers abroad ask rather detailed, almost maniacal questions, the kinds you’d hardly hear here in Japan, and answering those questions was a stimulating and fun experience. I oversaw the script lines of Naruhodo in Ultimate Marvel VS Capcom 3, and I was shown a video of when he was announced abroad. Seeing everyone there yell out in joy, gave me a warm feeling. Q: Finally, something to say to all the players. A: It's been 15 years since the first Ace Attorney, but thanks to all of you playing the game, we've now been able to make Dai Gyakuten Saiban. From people who've been there since the first game to people who only started last week, when I think about it and realize that Dai Gyakuten Saiban is a game made possible because of a long history of people after people playing the games, I can only be enormous grateful for it. Ace Attorney is a series that has grown to what it is now because of those playing the games and I myself too am only here because of the reactions of the fans. Dai Gyakuten Saiban is the game where I poured all my feelings of thanks in, hoping to repay your kindness. I'd be happy if you'll play the game! Last edited by Ash on Fri Jul 24, 2015 8:26 am, edited 2 times in total. Here I was thinking that some of the US localization team may have played a part in the development of DGS, but I guess Takumi wouldn't confirm anything like that here. It'd be up to those guys to confirm the game in the west, after all. Still, glad to know Takumi fulfilled his long-term dream of making a Sherlock Holmes game. Greatly look forward to the sequels. And @Rubia Ryu the Royal thank you for say that, I really want this game, because Takumi like a year ago say about he is making a trilogy. Huh, it's gonna be interesting seeing something from Takumi that was already planned to be a trilogy from the start, since from here it seems like he had difficulty trying to even come up with a sequel for the first game. Also, Ace Attorney was intended to be for the Game Boy Color? Man, just imagine that. I wonder if someone can demake it for the GBC? Well, Janet Hsu is listed in the credits as providing support on the English parts of the Japanese game. Not sure if anyone else from the team is there. Thanks for the translation, Ash! Thanks Ash! That's a mountain of text you translated! It's so cool after 14 years his initial idea for a Sherlock Holmes game and joint reasoning could become reality! Godspeed Takumi-san, may this trilogy be an amazing success! Any interview with Takumi and his brilliant creations are A-OK with me. Oh, this was a really nice read!